She disguises herself for the battle. He must find her, protect her, no matter the cost. It’s a war, to end all wars. Miss Julia Chalmers isn’t like any other lady a gentleman would ever meet. Yes, she wears gowns and skirts, but she much prefers to don lad’s clothing, a disguise which allows her to roll up her sleeves within the trenches as she aids her father, an engineering professor of great renown. Their current mission: Halting the French in their bid to take over Portugal. As Napoleon’s French force bears down on them, Major Harry Trentbury works diligently with a team of engineers in Portugal as they build fortified Lines of redoubts, trenches, and garrisons across the entire width of the peninsula to protect the city of Lisbon. At every turn he clashes with the professor’s daughter, a beautiful and quick-witted lady who stokes both his anger and passion to rise, his need for her an infuriating emotion he can’t seem to shake. As tensions increase and a battle becomes imminent, he rides out and fights on the front line, only disaster looms—she has followed him, disguised as a lad. Protecting her now is essential, but when he suffers a terrible fall on the battlefield and awakens with a fatal loss of memory, all could be lost… Until he sees her. Could she be the one to unlock his memories and bring him back to the land of the living? 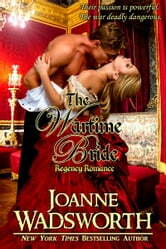 For Readers: If you wish to read the sweet/tame version of this story, look for To Love During War.